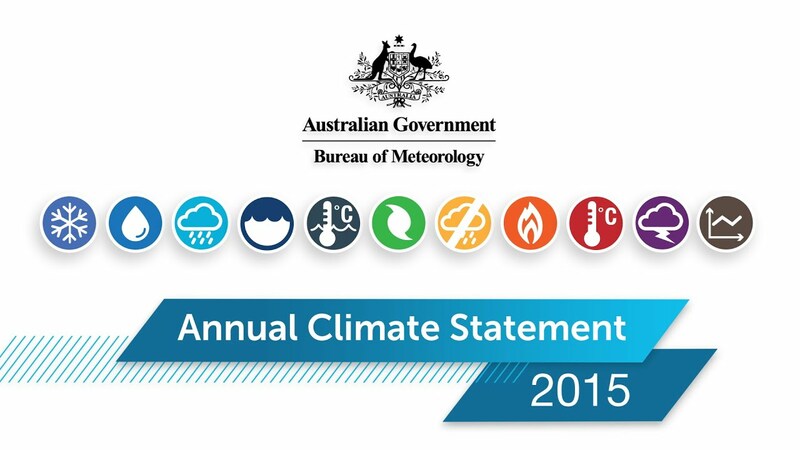 2015 was Australia's fifth-warmest year on record, with a number of notable heatwaves, and record-breaking temperatures from October to December. Australian mean rainfall was only 4 per cent below average nationally, but it was drier in some parts than others. Long-term drought continued in Queensland and increased in parts of the south. A strong El Niño contributed to the drier and warmer year in 2015.